The government will try to keep the bluefin tuna corruption scandal strictly at the administrative level. The phone records published in the Spanish press yesterday concern a civil servant and from what we know she did not solicit bribes on behalf of anyone but herself. But there are other complications here. Andreina Fenech Farrugia was fired from just the post she was suspended from yesterday already in 2010. The grounds for her removal were not corruption but failure to perform. She was replaced by another career civil servant, Joe Caruana to fix the mess Andreina Fenech Farrugia had left behind. Joe Caruana was no plant of the Nationalist government. His was no political appointment. In fact, he was trusted enough to be put to good use by the new Labour government. 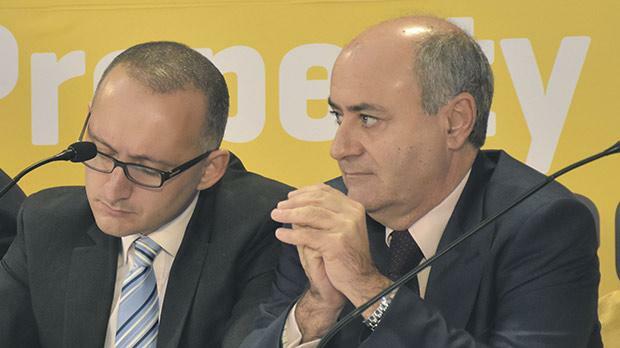 But he was kicked upstairs for the reinstatement of Andreina Fenech Farrugia very soon after the 2013 election. That’s not insignificant. It suggests that the Labour Party in Opposition, before 2013, courted Andreina Fenech Farrugia as a disgruntled government employee and rewarded whatever services she may have given them while in Opposition with her reinstatement and her vindication. That is not an administrative decision. That’s a political choice that the Labour administration must now carry the responsibility for. Joe Caruana would have told his Ministers why Andreina Fenech Farrugia should not have been reinstated. He had to clean up her mess. If he did not volunteer the information, it was their duty to ask him. Pre-advised, they should not have played politics with public administration. They stubbornly went ahead and must now carry the can. It does not end there. It was heart-warming to see Charlon Gouder back in the scene yesterday. He was taking what he must have thought would sound like moral high ground, insisting that Andreina Fenech Farrugia should be dismissed even while her innocence was still presumed in order to preserve the evidence. The fact of the matter is Charlon Gouder is not only the lawyer (he calls himself CEO) for the fish fattening lobby. He is also mates with Jose’ Herrera, the Minister responsible for Fisheries. He used to be on his personal staff but he didn’t think the money was enough so in 2016 he resigned as Jose’ Herrera’s private secretary and was appointed on the spot as his ‘consultant’ getting a pay boost in the process. When this happened Jose’ Herrera was not responsible for fisheries. He is now. It is unclear whether Charlon Gouder is still on the payroll of both the Fisheries Minister and the tuna fattening lobby at the same time. That will require some clarification. But even if money is not flowing both ways anymore we have here a grotesquely incestuous conflict of interest. It is impossible to have any confidence that the government has up to the breaking of yesterday’s news acted without fear or regard for the interests of the tuna kingpins. It is impossible to have any confidence that they are dealing with the matter with any objectivity now the story is out. Consider how Times of Malta this morning reported that Spanish sources told them this is “just the tip of the iceberg”. Consider how we find out, also from the Times of Malta, that even before the news broke yesterday the local police were already switched on to the case and a magisterial inquiry was already in place. When did Jose’ Herrera learn about this? Equally importantly, when was Charlon Gouder — acting on behalf of the other tuna fatteners — told about it? What considerations came into play in deciding to postpone the removal of Andreina Fenech Farrugia until it became inevitable to do so because of the report in the Spanish Press? Why was the need, so melodramatically pumped yesterday by Charlon Gouder, to preserve evidence, sacrificed while they waited for the story to break? Was it a case of preserving evidence of Andreina Fenech Farrugia’s relationship with Fuentes, or has the delay in time been used to manage evidence about the activities of Charlon Gouder’s other clients? It has become a 224-hour cliche’ to use the Maltese idiom that the rot of a stinking fish starts in its head. Andreina Fenech Farrugia is, quite possibly, not the head of this fish. To mix metaphors, she is but the tip of an iceberg. Whatever it is, fish or iceberg, this is not merely an administrative matter. Politics must come into it now.